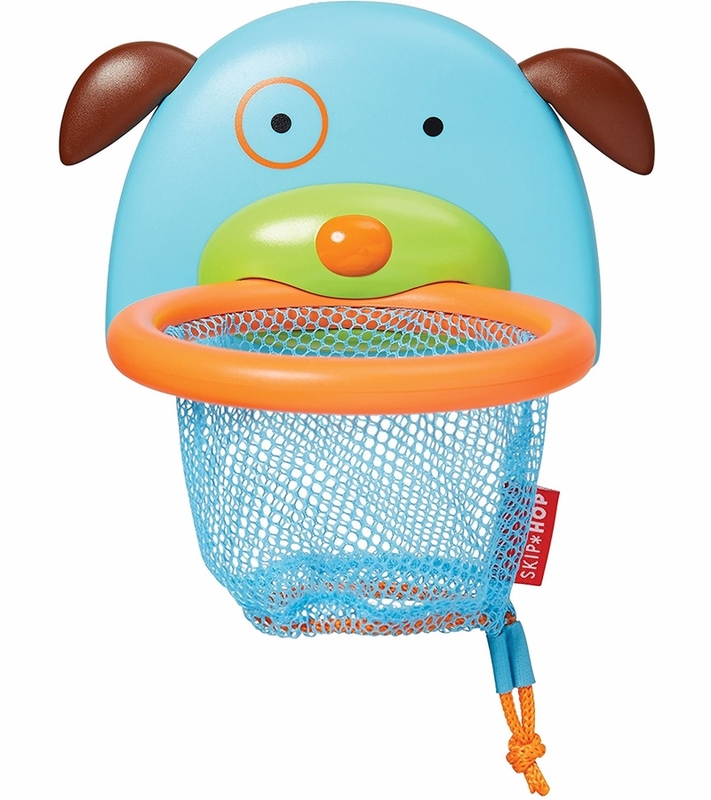 Tub time fun is a slam dunk with the baby and toddler basketball hoop. 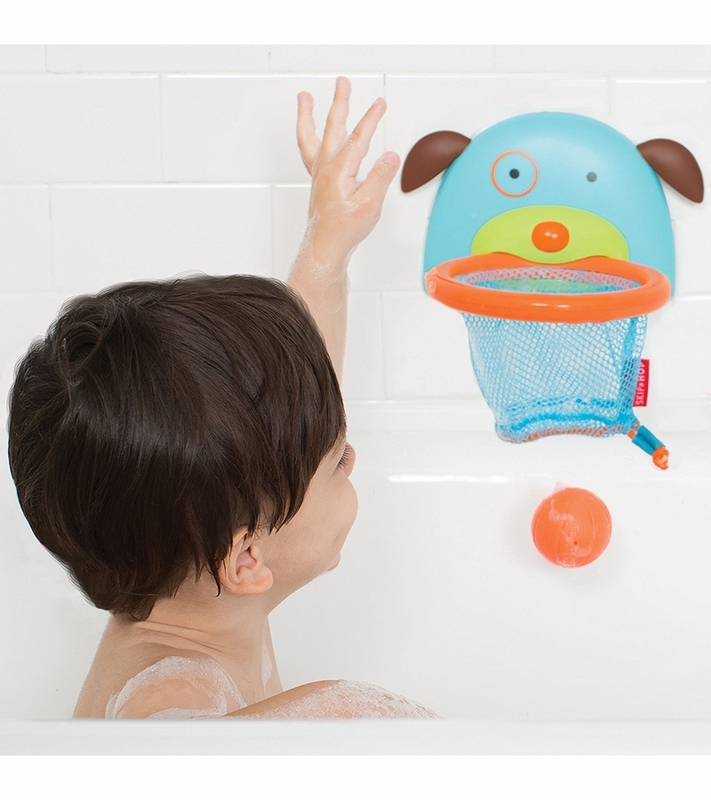 Easily secure the suction cup basketball hoop to glass or tile, then get ready to splash and score. 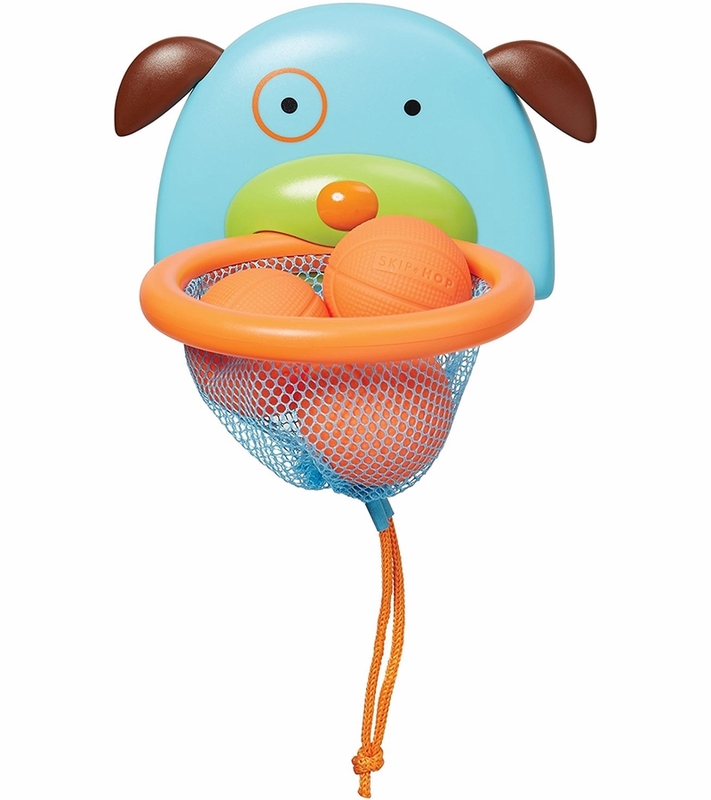 It comes with three ball squirties that store right in the drawstring net when playtime is over. 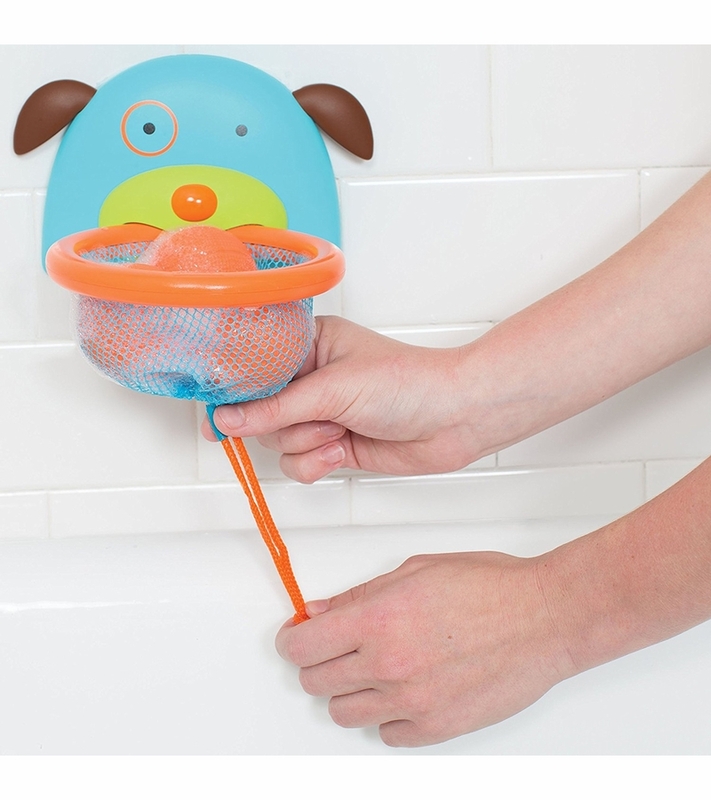 This is my 1 year olds favorite bath toy! 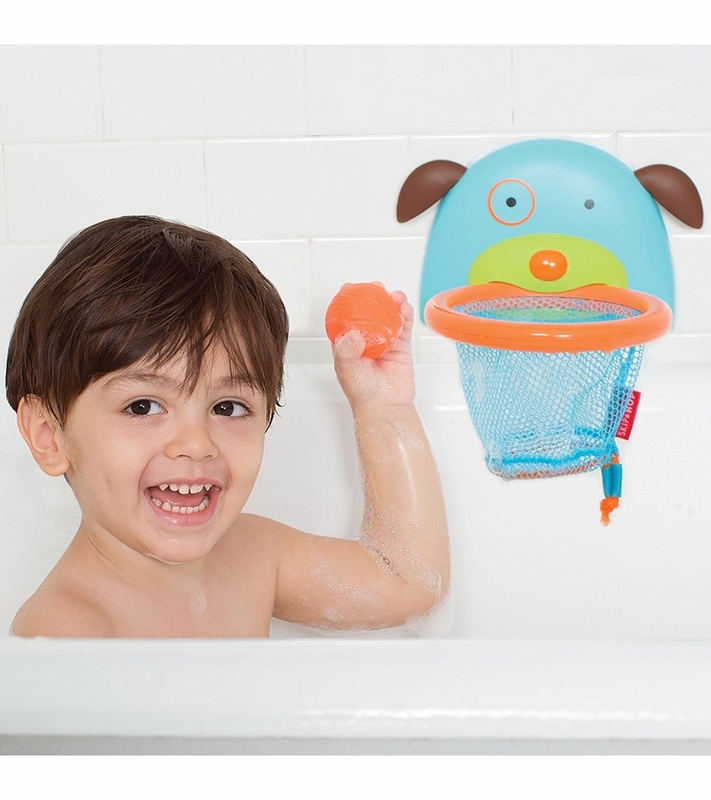 My 3year old plays with it as well but perfect for little ones. 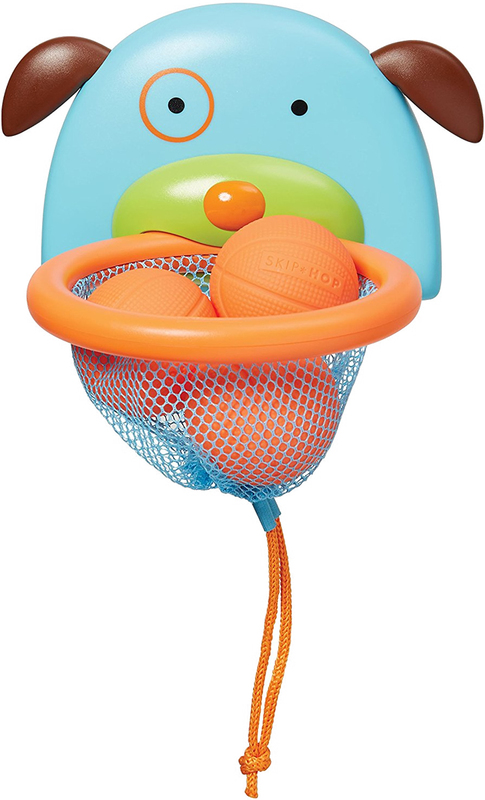 They can easily hold the balls and the net auctions well and does not fall off. Highly recommend. My son really enjoys playing with this. We don't even use it in the bath tub. It has suction cups so I stick it in our window at the perfect height for him. He loves playing with it!